Thermo Scientific™ FHT 1376 Mobile Gamma Radiation Detection System is a portable tool for effectively addressing the problems of orphaned sources, radiological contamination, and maliciously introduced sources. GPS-supported mobile system detects gamma radiation with extreme high sensitivity. Developed for the rapid detection and location of gamma emitting radioactive sources in large areas. 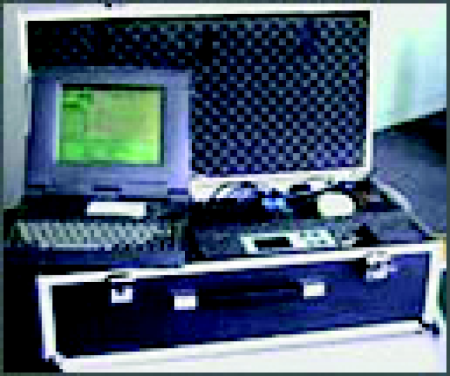 Components (with the exception of the antenna) are contained in a rugged carrying case and can be transported in any conventional vehicle. ADF is an intelligent ratemeter function with a self adjusting time constant. It provides automatic adaption to the velocity of a moving source or detector and to the variable intensity of radiation. Optimum measuring mode for any velocities up to 30km/h (with 25 l detector).